On Grandparents' Day Sunday, some millennials were keeping a big secret from their grandparents. 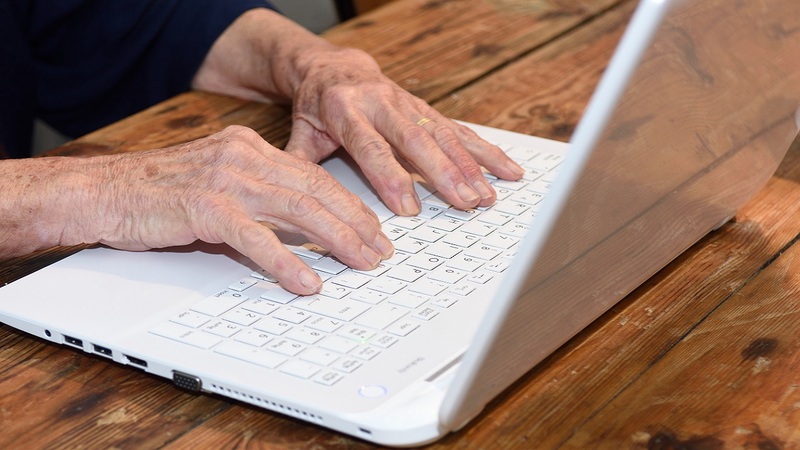 While introducing grandma and grandpa to the world of social media and Facebook can be fun and fascinating, some grandchildren secretly want to click the unfriend button on their grandparents because of the embarrassing things they post. A new national survey commissioned by the Visiting Angels, one of the nation's largest in-home senior care providers, uncovered the top-five Facebook "no-nos" for grandma and grandpa after taking a survey of 500 millennials who have grandparents on Facebook. When it comes to Facebook, 25% of participants say their grandparents often post TMI (too much information) about their love life and social life, including personal information about family feuds and finances. While status updates and emojis are essential to life on Facebook, some grandparents have taken it too far by typing out political or religious rants and flooding their timelines with an abundance smiley faces. Grandchildren might be alright with their grandparents friending them on Facebook, but what about when grandma and grandpa adds their grandchildrens' friends? According to the survey, one out of four grandchildren say it's not cool. Facebook gives people an outlet to share news and information about themselves, however 25% of grandchildren say they don't like it when their grandparents post that they are lonely, sad or sick . According to the survey, grandchildren also say they feel guilty when their grandparents post statuses that say, "Why don't you visit or call more?" Who said grandparents can't act cool? Well, apparently 22% of the participants said it's not cool when grandma and grandpa try to act hip. One grandchild even said he wants to hide when his grandparents "COMMENT IN ALL CAPS." However, it's not always embarrassing for millennials. The Visiting Angels survey also reveals that Facebook has become a great way for grandparents and grandchildren to communicate. A majority of the millennials surveyed even said it was okay for their grandparents to post "I love you" on Facebook. So on Grandparents' Day, if you forget to call or visit, you can always drop an "I love you" via Facebook.